Graduate Level English Courses: Here Goes Nothing!!! Many of you know that I hold a Bachelor of Arts in English/Creative Writing. And that I do nothing with it… as I work in Higher Education. Well that is about to change… In a couple of weeks, I am headed back to graduate school. I am enrolled in a course to put together a writing sample for a graduate level program in English. The goal is to go for a PHd in English, and take these college student development skills and combine them with a passion for writing. While I have largely neglected that passion in my life, I have a really strong desire to get back in touch with it. Those that cannot do, teach… right? If only I could find a way to work in fly-fishing to all of this as well… hmmm. In the meantime, I have to fill out a pre-course survey about what kind of writer I am. Contemplating my “quirks or idiosyncrasies as a writer” is one of the most exciting things I have done all summer. And yes, that does include a trip to India. But then again, most of you already knew that. 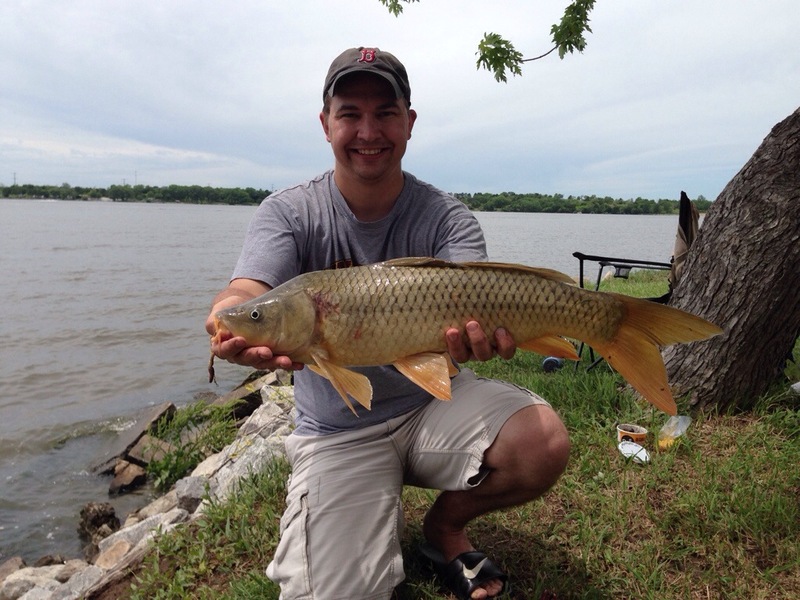 Not on a fly… But my first carp I have ever caught! Now to snag one on a fly!!! Starting to get search engine hits for this again, so I though I would post this years information. This kids tournament is put on by a member of the NEFGA forum and is a great event. Winner of the upper kids division is a lifetime Nebraska Fishing License… definitely worth the FREE entry fee. -Appropriate use of car horns. -Having only one electric switch to control any given device. -Not having every conversation following “where are you from” revolve around Obama, Michael Jackson, or Michael Jordan. -Seeing people that look like they’re from America… and having them actually be American and not from a non-English speaking part of Europe. -Car horns that do not sound like some form of dying bird. -Being able to download the updates that my phone keeps bothering me about. -Traffic laws that are enforced. -Food I can eat with a fork. -My wife and daughter… Even if Little E has been extremely naughty while I have been gone. -Fishing. Fly fishing of course. -Not having to get up at 5:30AM to talk to loved ones. Finding the most American thing in the menu… Chicken wings and a milkshake! See you stateside in a few days! I don’t think this needs anymore words. A little dirty; but awesome. Our main activity for today was visiting the Ajanta Caves. But in the course our day, three themes stood out above all the rest.